Encourage understanding: Divide the children into small groups. Have each group read and discuss the following scriptures, looking for what the Savior teaches about prayer: 3 Nephi 18:19–20; Doctrine and Covenants 19:28, 38; 88:63–64. Emphasize that the Savior teaches us to pray to Heavenly Father in His name and that this helps us feel closer to Him. Encourage understanding: Make a copy for each child of the illustration on page 19 of the nursery manual,Behold Your Little Ones. Let the children color the illustration and take it home to share with their families. Encourage understanding and application: Sing a song about prayer from the Children’s Songbook,such as “A Child’s Prayer” (CS, 12–13) or “We Bow Our Heads” (CS, 25). Talk to the children about how your love for the Lord grows when you pray. On the board make a chart with four columns. At the top of the first column, write: Our Heavenly Father. At the top of the second column, write: Thank Him for blessings. At the top of the third column, write: Ask Him for blessings. At the top of the last column, write: In the name of Jesus Christ, amen. Ask the children to list in their class groups several blessings they are thankful for. Then ask each group to name one blessing they are thankful for as you write that blessing in column 2. 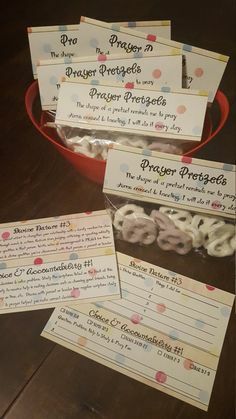 Next ask the children to discuss in their class groups blessings they could ask Heavenly Father for, and write their answers in column 3. Review the parts of prayer. I shared this great little ‘Prayer PB & J’ a few years ago. 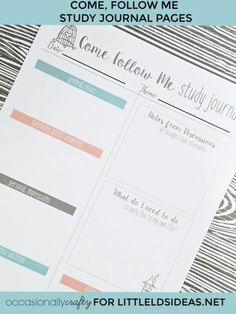 I’ve used it several times, and once again…I’m using it for this week’s Sharing Time idea. For this Sharing Time you will be using ingredients of a PB & J to teach the children the proper order/way to pray. Please make sure there are NO nut allergies before deciding on this idea. If there is you could just substitute another spread. Tell the children that today you are going to be making a PB&J Prayer Sandwich. Nikki, over at Melonheadz LDS Illustrations, has some great clipart that you could use. 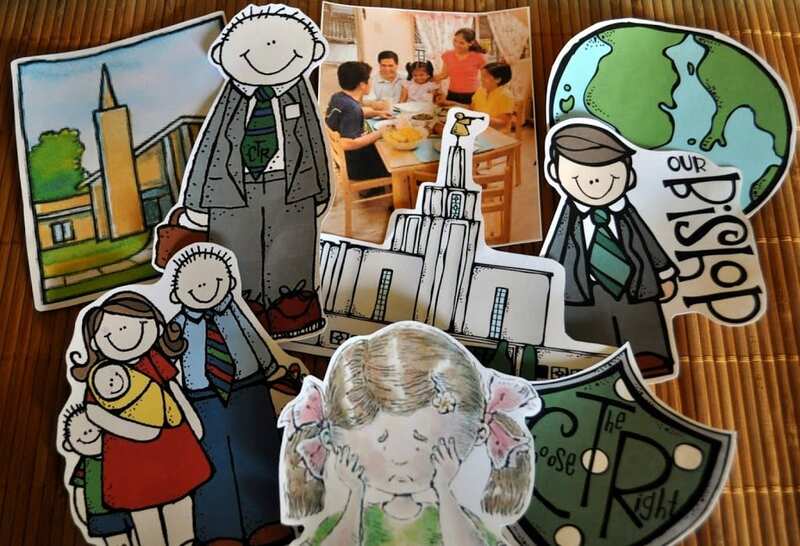 The others you can find on LDS.org. Once you have printed out all of your pictures, you will attach them to the appropriate side (some pictures will have one on each side) of the foam board. On the Sunday you will be teaching, have your foam board at the front of the room, and cover it with a large towel, poster-board, etc. To begin your Sharing Time, and to introduce the topic, I thought it would be great to read one or all of the scriptures from the outline. 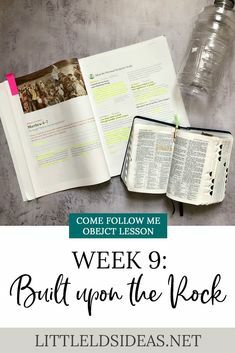 If you wanted to go along with the sandwich theme, you could print out a picture of a piece of bread and write one of the scripture references on the back. Then hide the bread underneath a chair(s). Have the child read the scripture aloud to all the children. Then ask if anyone knows what we will be learning about today. Tell the children that today we will be learning about Prayer! And to help us learn about prayer, we are going to be making a Prayer PB & J! Show the children the first piece of bread. Ask them ‘How do we begin our prayers? The first piece of bread is for ‘Dear Heavenly Father’. Lay the piece of bread on a plate and have everyone repeat ‘Dear Heavenly Father’. Now, ask if anyone knows what comes next. But instead of putting on a lot of jelly just put on a tiny little glob. Ask the children if that is enough. They’ll obviously say NO! Explain that when we pray we need to remember to thank Heavenly Father for ALL of our many blessings. We want Heavenly Father to know that we appreciate all that He has given to us, so we need to remember to Thank Him. Here is where your poster-board full of pictures comes in. I thought it would be good to do a little activity to help them think of things they can be thankful for. Show the children your covered board, and explain that underneath are several pictures of things we can be thankful for when praying. Tell them that you are going to reveal the pictures for 2-3 seconds and then cover them up again. Then you will call on a child to see if they remember what one of the pictures is. If they name one, take it off the poster-board and show it to the children and discuss why we are thankful for that particular item. Then repeat for a few more pictures. As you talk about each picture add more jelly to the sandwich. The next step in our PB&J Sandwich is the PB! The peanut butter represents: ‘We Ask Thee’. 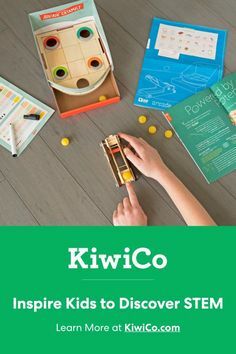 You will do the same activity as above using the other side of your foam board. Just flip the board around and cover it up. ‘In the name of Jesus Christ, Amen’. 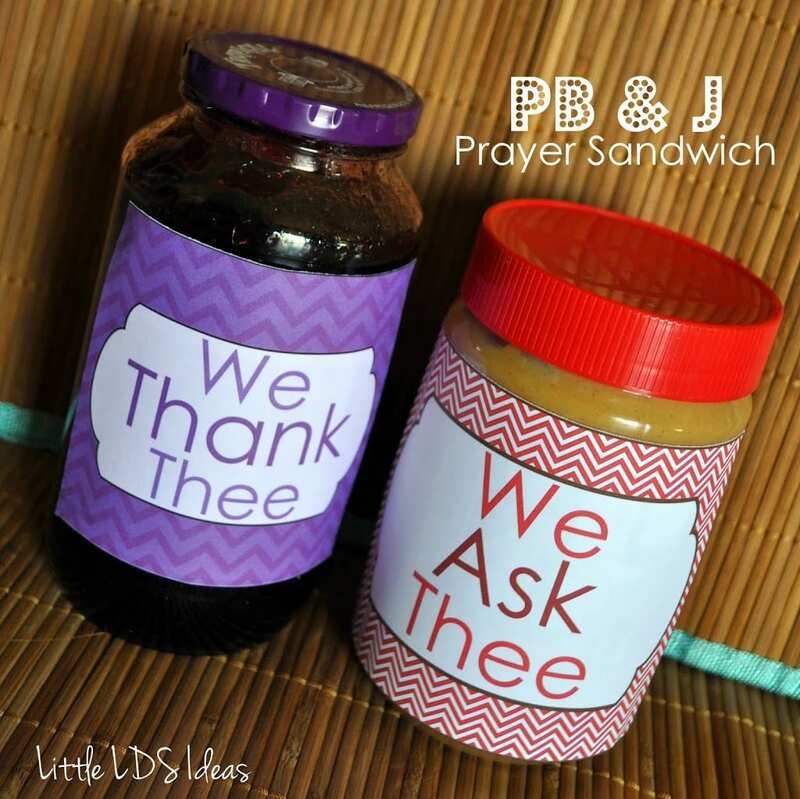 And finally…you’re very own Prayer PB & J! You could then close with a song about prayer or a short story from ‘The Friend’. Encourage the children to think about what they will say before they pray each day and then bear your testimony. 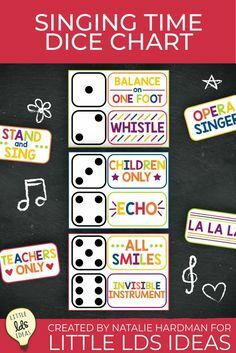 This is a great activity that really keeps the children engaged while learning about prayer. If you like the idea and would like to use my Peanut Butter & Jelly Labels, then click below to download. Click HERE to print my PB & J labels. This idea is similar to my PB & J idea, but without the sandwich part. It also follows closely to the idea given in the outline. .On a chalkboard, bulletin board or poster, make a chart with 4 columns. The first column: ‘Our Dear Heavenly Father’. The second column: ‘We thank Thee’. The third column: ‘We ask Thee’. The fourth column: ‘In the name of Jesus Christ, Amen’. For this Sharing Time you will also need several ideas of things that you might be thankful for or ask for. 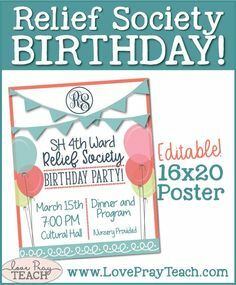 Find the pictures you’d like to use and then print and cut them out (some have 2 because we can thank and ask for it). The day of your Sharing Time, before all the children arrived, tape one of each picture under some of the chairs. Tell the children that you have hidden some pictures underneath some of the chairs. You will choose one child at a time to look under their seat and find their picture. Once they have their picture have them come to the front and decide whether it’s something we ‘Thank Thee’ or ‘Ask Thee’. Some can go in either column. For those that have 2, only hide one under the chair. When they add theirs to the column tell them that they could also ask/thank for this, then add the second one to the other column. Close by singing a song or reading a story from ‘The Friend’. 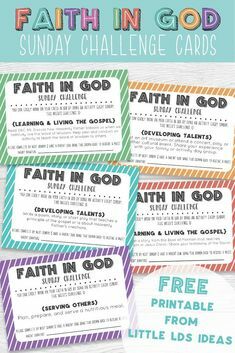 You could also pass out a prayer chart and encourage the children to say their prayers every day through out the week. I shared this idea several years ago and created a Prayer Chart. I also provided pictures that you could use. If you’d like to take a look at the chart and the pictures, then click HERE to take a look. I’m going to have the kids make PB&J’s out of paper and have them write things they can thank Heavenly Father for and things they can ask of Him. I’ll punch a hole at the top and attach together with yarn or curling ribbon. We have a very small primary (14 kids) so this works for us. I’ll have the older kids match up with younger kids that can’t read or write yet. Click HERE to print Cami’s Opening Bread sheet. Click HERE to print the Closing Bread sheet. Click HERE to print the Peanut Butter & Jelly Sheet. What a super idea, I love the PB & J. We have a small primary, so it may be fun to let the senior group make their own little sandwich….then again as I think that through- that could become scary. lol…I am sure we will find a perfect balance. Thank you for sharing. This is great! I’m planning to make one sandwich in the front as we go through what each represents, and then hand out Uncrustables as a treat. They will love that:-) And I will send home the prayer chart too. I feel so much of what I teach they only hear on Sunday…. but not sure how much of it gets put into practice on a daily basis. I’m going to try to come up with a handout of what each PB&J item represents on the reverse so the parents can help. I finished the handout as a PDF. You are welcome to put it up on your blog or link it somehow. I’m not very tech-saavy and can’t figure out how to attach it here. If you’d like to see it, will you send me an email address? Then you can use it or not – your choice. I would love to share your handout. I tried to email, but the email you left isn’t working for me. Just send me an email to: littleldsideas(at)hotmail(dot)com. Thanks! I love the PB&J idea. I am new at this and have been so nervous about teaching. I am going to be doing the PB&J idea. I have all my items in a picnic basket. I will be making a sandwich with the help of the kids in front of everyone. They will come up and pull one of the pictures out of the basket and decide if it is Peanut Butter or Jelly. I feel so much relief having found your adorable idea. Thanks so much. A huge weight has been lifted! to give a boost to my old and tired mind! 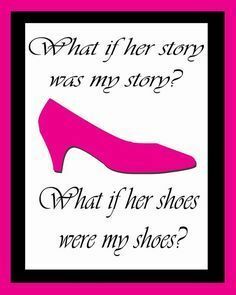 i LOVE this idea Sheena! So visual and something they can all relate to- totally making pb&js this weekend! Oh and i’m also going to talk a little bit about the word “thee” and why we use that in prayers. I loved the PB&J analogy and would love to use the printable sandwiches made by Cami Clifton. But the link to Cami’s opening bread sheet is actually the closing (there are two closing ones). The rest are fine but would you mind uploading the corrent opening bread sheet? Thank you so much for all your great idea and resources. I love not having to reinvent the wheel! Thank you for all of these wonderful ideas! I clicked on the link to open Cami’s Opening Bread link but it’s the closing one–can’t find the opening one anywhere. Is there a way to get the right link? Thank you!!! Have a great day. Sorry about that. I just emailed Cami to see if she could email me the opening one. Once I receive it I will add it. 🙂 Thanks! Your website is wonderfully brilliant. I appreciate it! Our primary is being blessed because of your help. I am not as near as creative as you. Thanks for sharing your talents with us! THANK YOU! We loved making a PB&J prayer sandwich in primary on Sunday! Thanks so much for the idea. I think they realized that Heavenly Father wants to hear from us more than just one little thought (or dab of pb or jam). I emailed the parents after church on Sunday and told them about sharing time so they could follow up with their kids. It’s been a great reminder in my home, espeically with my 6 year old! Thanks again! Thank you so much for these awesome ideas!!! What a HUGE help these are! !